We are proud to announce that Emerald Ridge Maintenance Corporation has selected Tinnelly Law Group as their association legal counsel. 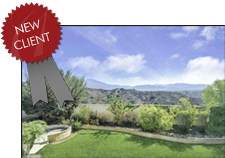 Located in Rancho Santa Margarita, Emerald Ridge is located in a highly sought after area of Southern California. Many of the lots have sweeping, panoramic views, and residents can enjoy the community pool and spa, as well as multiple parks within walking distance of their homes. Our HOA attorneys and staff are privileged to have the opportunity to work with Emerald Ridge’s Board and Management.